We offer our clients an extensive line of quality apparel including sports shirts, t-shirts, outerwear, childrens and ladies wear, fleece, caps, towels, and much more. 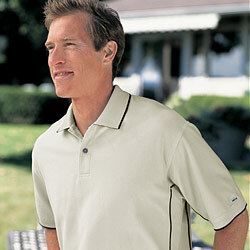 We also offer embroidery or screenprinting on all of our apparel items. Our prices are very competitive and our quality is even better. Call or email us today for a quote on embroidering or screenprinting your apparel items.